Don't go into the battlefield without a reliable sidearm! 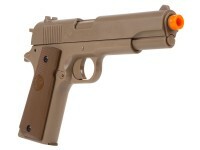 This spring-powered Marines Airsoft SP02 pistol is a great choice for intense airsoft skirmishes. 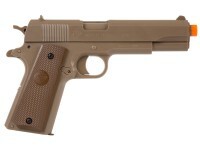 The gun features authentic USMC desert tan coloration with trademark USMC logos, a 12rd quick-release magazine, and a shot velocity of 325 fps. 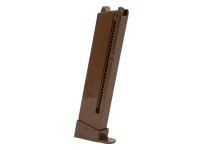 Each SP02 also has a functional slide & safety. 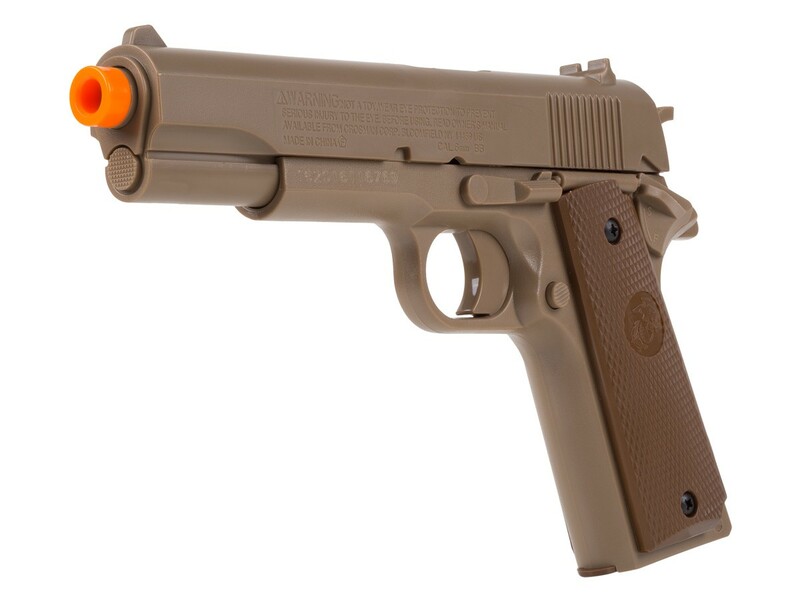 A portion of the proceeds from the sales of these airsoft guns will go to the Wounded Warrior Regiment project (WWR). This program provides and facilitates non-medical care to combat & non-combat wounded and injured Marines & their families. Things I liked: Its nice looking and powerful. Things I would have changed: The magazine its not sturdy enough on the upper side. What others should know: I enjoy shooting some pest and is very accurate. Things I would have changed: A few sharp edges on the grips may hurt your hands while operating the slide. A little sandpaper fixed that. What others should know: Well worth the price. I'm very happy with it. 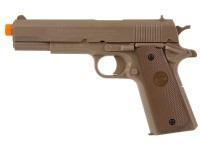 Things I liked: Everything the gun it's great and has some nice weigh. What others should know: Shoots really nice.